Thailand's former prime minister Thaksin Shinawatra has alleged that the election on Sunday was plagued with "irregularities". Mr Thaksin, who was ousted in 2006 and lives in self-imposed exile, told the BBC the inconsistencies "worried" him. The election was Thailand's first since a military coup in 2014 removed Mr Thaksin's sister, Yingluck Shinawatra. Early results saw the pro-military Palang Pracha Rath Party (PPRP) gain a larger share of the popular vote. But there have been growing complaints about discrepancies in the voter turnout and number of ballots cast. Officials have said there were some cases of "human error" in reporting the data. Official results will be released in May. Mr Thaksin was removed by a coup in 2006. He now lives in self-imposed exile to avoid a conviction in Thailand for abuse of power, but remains hugely influential in Thai politics. Speaking to BBC Thai in Hong Kong, he said there were "a lot of irregularities which made me worried to see the country's politics and electoral system so backward". The early results indicate Pheu Thai, the party linked to Mr Thaksin, had won the biggest number of seats in parliament but not the most votes overall. It remains unclear which party is most likely to be able to form a government. Mr Thaksin cited one example, saying there were "pictures from Petchabun province where the ballot boxes were taken out and the ballot paper put back in at a local office". 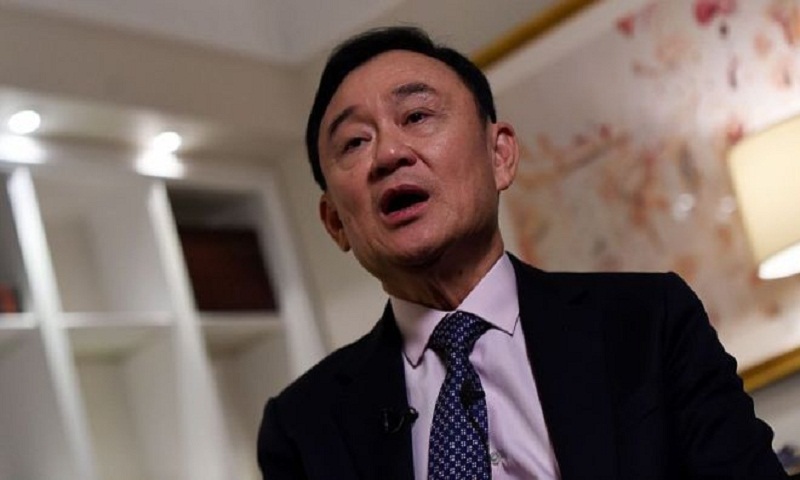 Mr Thaksin's thoughts were echoed by many Thais on social media. On Monday, the hashtags "Election Commission (EC) exposed" and "cheating election" were trending. Some also questioned the reported turnout, which was unexpectedly low at 64%.